On June 5 we lost a member of our symphony family here in San Jose. Gilda hadn’t played with us for a few years, but she was still backstage or in the audience so much of the time. Whenever she came to Opera San José (and she came to every production) she made a point of coming down to say hi to us. She was a violinist in the San Jose Symphony when I started in 1975. I thought she was old. Now I realize she was younger then than I am now! Obviously that means she was young! She spoke her mind: she didn’t ever mince words. 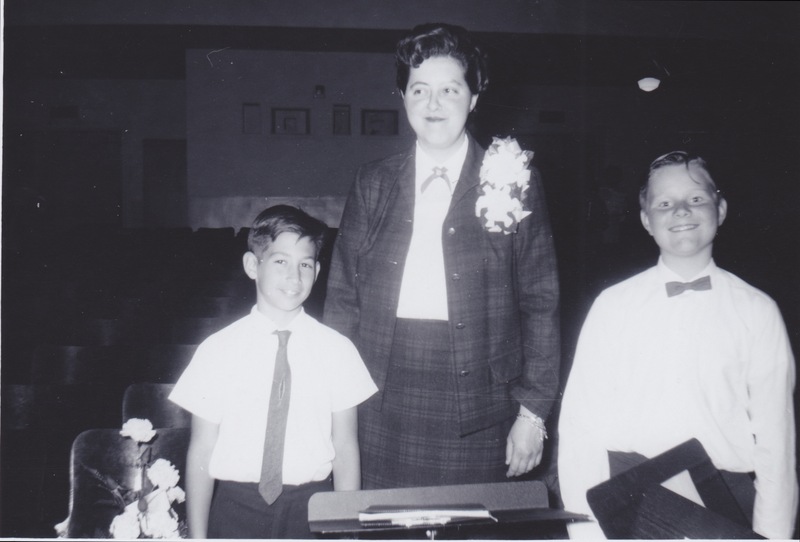 And when she taught music in the elementary school Dan attended she threatened him (I’m guessing more than once!) saying she was going to turn his trombone into a bow tie. She always asked me about “Danny” when I saw her, and always brought up the bow tie, too! She will be missed by many. I went through a box of photos and found these two treasures. 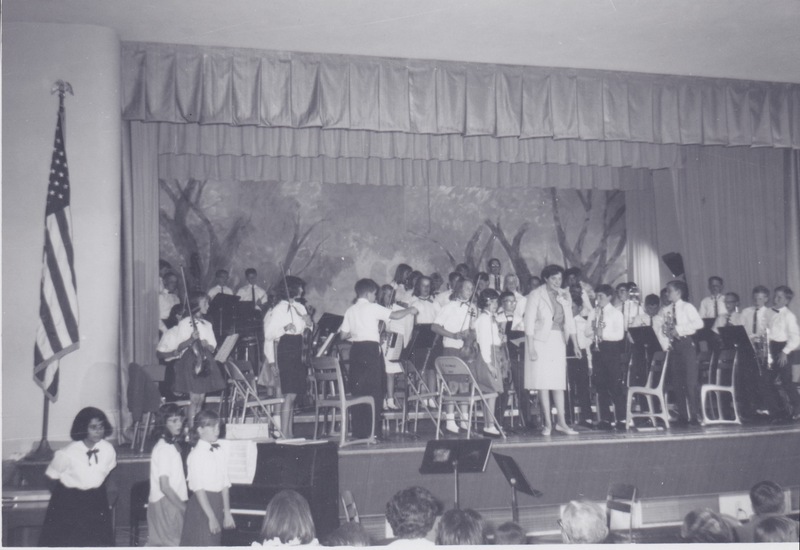 The first includes Gilda and Danny (and an unidentified boy on the left) and the other is Gilda and the orchestra she conducted. My job means sometimes playing oboe all Saturday in an orchestra accompanying hundreds of recorder playing children. My job is weird.